The Russian armed forces are ready to roll out military units trained to perform combat missions both in Russia and abroad. Russian Chief of the General Staff Valery Gerasimov recently said that the Ministry of Defence has formed – and is ready to use – the Special Operations Forces; military units trained to perform combat missions both in Russia and abroad. He said the decision was based on the leading nations’ experience in forming, training and using special operations units, including the best-known of them all – the United States Special Operations Command (USSOCOM or SOCOM). Such units have completely altered the very concept of special forces and their operating methods. The key difference is that command identifies only the scene of operations, whereas special operations units act autonomously and define their objectives independently in order to accomplish the ultimate mission. They are actively engaged with space and tactical reconnaissance units and involve Army, Air Force and Navy units. Some examples of such operations include SOCOM activities in Yugoslavia, where special units directed planes and cruise missiles to strategically important infrastructure units in Serbia and Montenegro from the rear of the Yugoslav army. Also noteworthy are combat operations in Iraq, Afghanistan and Libya, where SOCOM acted as an autonomous spearhead unit of the US Army, capable of independent actions to eliminate enemy personnel and infrastructure. The Soviet counterpart to SOCOM was the Spetsnaz GRU – 11 brigades controlled by the Main Intelligence Directorate (or GRU in Russian). Some of them were designed for land operations, while others performed naval missions. 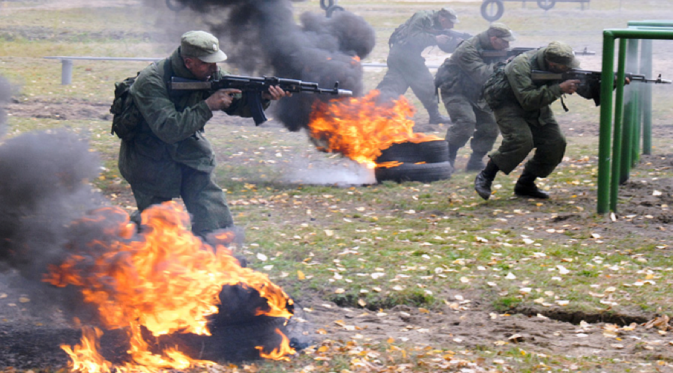 Spetsnaz proved itself to be highly efficient unit during the Soviet military campaign in Afghanistan, the two Chechen wars and the war with Georgia in 2008. The experience that special operations units gained during the most recent conflict in Georgia encouraged the General Staff to reform the system of special services of the Russian Armed Forces. However, the Minister of Defence at the time, Anatoly Serdyukov, did not approve the initiative. Instead, he decided to abolish the special operations wing of the GRU, leaving only strategic functions (analysis and human and radio-electronic intelligence). As a result, the Spetsnaz GRU was placed under the control of military regions and fleets. The special forces lost a great deal of their personnel. As soon as Sergey Shoigu was appointed minister, the Russian Ministry of Defense deemed it necessary to form a special operations command, especially given the Pentagon’s recently announced plans to markedly increase the number of secret operations abroad. According to a GRU veteran, who wished to remain unnamed, the current initiatives of the General Staff will become another step in the evolution of the Spetsnaz GRU. The change in approach has been prompted by the experience of the leading armies of the world – including the US Army – which operate similar combat units. “We need to meet the new standard,” the specialist said. According to Gerasimov, the special operations forces will have the same tasks that the Spetsnaz GRU used to have: tactical reconnaissance and target marking for strike forces, sabotage operations in the deep rear, the elimination of enemy commanders and the capture of strategic infrastructure facilities. Just as important is the use of special operations forces to protect Russian citizens abroad, for example, Russian diplomats during regional armed conflicts or terrorist threats. The special forces were already used to rescue the crew of the MV Moscow University GT tanker, which had been captured by Somali pirates. The creation of the special operations forces is essentially an effort to bring together the components of the reduced operations force of the GRU. The change in their functions from tactical operations under the control of military regions and fleets to strategic missions serving the interests of the entire country means that the special operations forces will report directly to the chief of the General Staff when it comes to tactical operations. However, the use of the new service beyond the borders of Russia will have to be authorised personally by the president of Russia and approved by the State Duma, under the Law on Defence. In any case, the most important question that still remains unanswered is what threats the special operations forces will have to respond to. The GRU veteran was unable to help, as he left the military intelligence agency back in the early 1990s, when the objectives of the Spetsnaz GRU were different. One can assume that the efforts by the General Staff to create the new force have been prompted by the upcoming withdrawal of US troops from Afghanistan and the need to prevent the penetration of Islamic militants to the former Soviet Union. The special operations forces may become a response to the deployment of the US missile defence in Europe. In any case, Gerasimov has repeatedly mentioned asymmetrical countermeasures to US initiatives. But this is just guesswork. Neither the Ministry of Defence nor the General Staff will ever provide specific answers, because the very existence of the special services controlled by the GRU and their operations have always been and will always remain a secret.